Amazon, Uber, Apple, etc. have created user experiences that have redefined customer expectations for the banking industry. Consumers want digital platforms that create frictionless transactions. By creating online applications banks are reaching clients where interact most. The digital market has been seen as a huge positive as it has opened the banking sector to millions more individuals that had no possibility of reaching a branch. This widespread inclusion is leveling the playing field for rural and lower income individuals, and has been seen as an engine of growth as more Americans leverage the power of banking. In response major companies like Citi have announced a transition to close to 100 percent digital services for basic banking transactions. Citi customers won’t need to walk into a branch, instead they will turn to their computers and phones. Banks like Citi have additional motivations to customer satisfaction as closing branches drastically cuts their operating budgets. The fewer branches in operation, the best deals they can offer their customers. While branches could be seen, as on their way out, it isn’t safe to say they will be eliminated entirely, especially when it comes to community banking. Small towns have been largely successful at supporting smaller banks that have a personal connection to the town. In areas where banks haven’t been supported, communities have seen the rise of banking deserts. These areas have a “significant negative” impact on a community according to the American Banking Association. What the banking sector doesn’t see is that brick and mortar transactions still hold a lot of value. Apple has long proven that the online plus in-store model can be a magical combination. Even Amazon has followed suite, as it has begun to expand its storefronts to establish better customer experiences and relationships. Customers need and want to meet with knowledgeable people who can provide them the advice and support they need for their financial decisions. Just as Amazon has begun to do, banks need to realize that storefronts are more than just a sales channel. The purpose of branches is no longer sales focused but rather customer service. Branches can help retain customers as they look for ways to communicate with their bank. Additionally branches serve to assist customers with a digital transition and advice on financial decisions. Banks will continue to expand their digital footprints. Combining digital innovations with high-quality in-branch experience provides the best of both worlds. 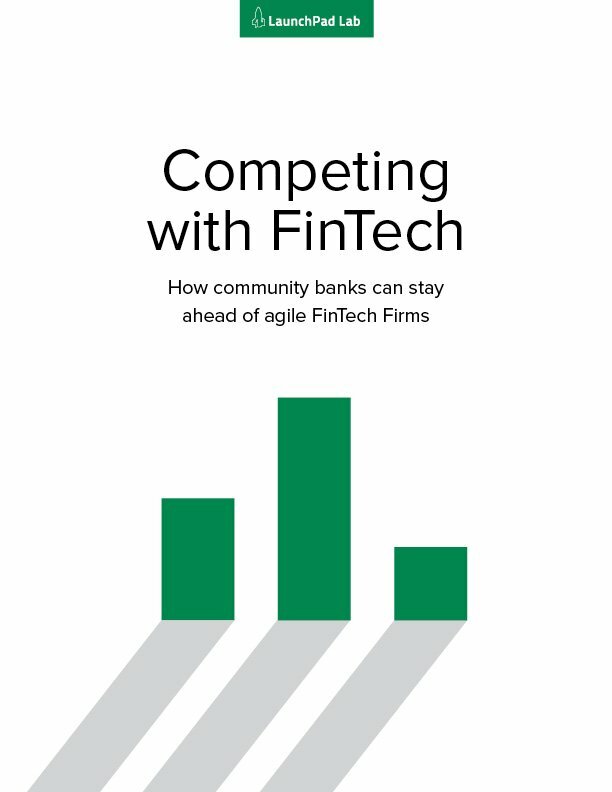 Community banks have a unique opportunity to follow Apple and Amazon’s lead in combining leading digital experiences with their brick and mortar presence.